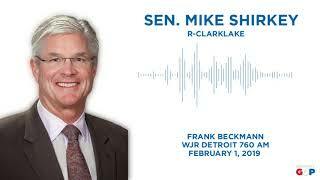 Senate Majority Leader Mike Shirkey appeared on the Frank Beckmann Show on WJR on Feb. 1, 2019 to discuss gas taxes in Michigan. 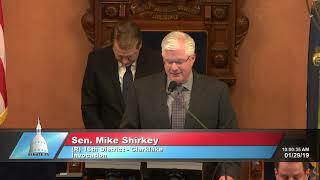 Senate Majority Leader Mike Shirkey delivered the invocation at the Michigan Senate at the start of the Jan. 29, 2018 session. 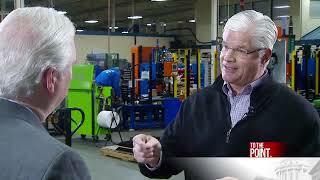 Senate Majority Leader Mike Shirkey joined To The Point with Rick Albin on WOOD TV to discuss the start of Michigan's 100th Legislature and his background. 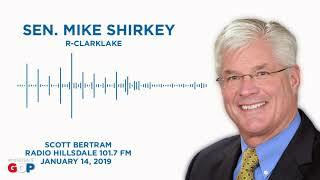 Senate Majority Leader Mike Shirkey joined Scott Bertram on Radio Free Hillsdale on Jan. 14, 2019 to discuss the start of the 100th Legislature. 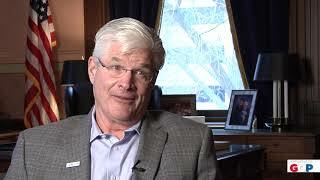 Senate Majority Leader Mike Shirkey discusses the start of the 100th Legislature and the goals he has for the coming term.